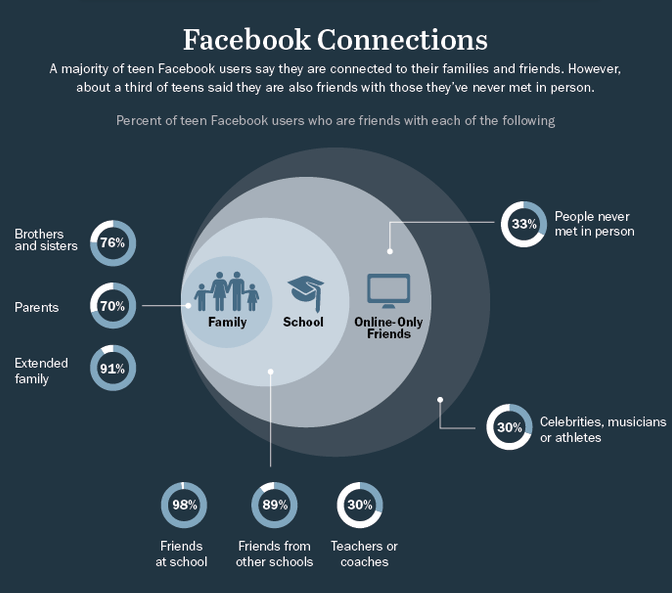 The Pew Research Center has just released a new report entitled Teens, Social Media, and Privacy. While focused on privacy, it provides a range of useful information, such as the fact that Facebook was the most popular social medial tool among teens in the study. The report provides a number of interesting adjunctive materials, including two interactive features and four infographics. And while it both confirms our movement’s concerns about the dangers of social media, it also demonstrates that teens are a lot more social media and tech saavy than we tend to give them credit for. They know privacy is an issue and choose various ways to deal with it. It’s clear from the report that teens both like and hate social media sites, especially Facebook. It defines their social lives and, in some cases, feels like an obligation. So as we consider how to use social media to reach teens, and as the trends change daily, reports like this become evermore important. Click here to access the full report and related materials. For tips on how to use media and technology in sexual and domestic violence prevention, explore this online course.